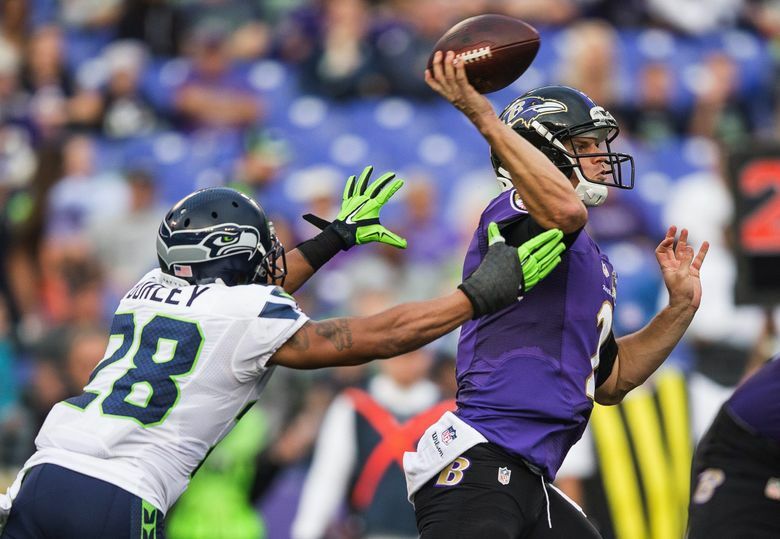 A few Seahawks notes to pass along on Marcus Burley, roster updates, and more. Update: Frank Clark is not changing positions. He’ll remain a defensive end. As reported via Twitter and elsewhere, the Seahawks officially signed cornerback Marcus Burley on Tuesday. Burley was one of the team’s seven Exclusive Rights Free Agents, which means that once the team offers them a contract they either sign it or sit out and play for no one. All of Seattle’s ERFAs are now officially in the fold after signing their contracts in recent days. The others were tight end Cooper Helfet, safety Steven Terrell, cornerback Mohammed Seisay, defensive back DeShawn Shead, linebacker Eric Pinkins and defensive tackle A.J. Francis. Speaking of Seisay, he was officially number 39 when he played in the preseason for Seattle last season, the same jersey number as that of Brandon Browner. It was expected that once Browner returned that he would get that number back, and indeed — according to an updated roster on the Seahawks’ website — Browner will again be number 39. Seisay, meanwhile, is listed as number 26, a number that last year didn’t belong to anyone. There are a few other new numbers for some of the new players — quarterback Philip Sims has number six, for instance, which once belonged to Charlie Whitehurst and also briefly belonged to receiver David Gilreath. Also of note on the new roster is that Frank Clark is listed as a linebacker — he was listed as a defensive end last season. He also has a new weight — 257 — down from the 272 of a year ago (interestingly, he is about the only player listed with a new weight). It’s not really a surprise that Clark has a new listed position as Seattle coach Pete Carroll mentioned at the NFL league meetings last month that Clark would likely take on some of Bruce Irvin’s role as a strongside linebacker, and Clark himself also referred to losing weight in anticipation of a slightly new role via social media. But it’s undoubtedly interesting to see the team refer to it on its website — players are currently undergoing testing and conditioning drills as part of the beginning of the team’s official nine-week off-season program which began this week, and Clark’s new weight was likely discerned during measurements taken the last few days. And yes, as an aside, it looks weird to see the Seahawks roster with just three running backs and no fullbacks. That undoubtedly will change in the coming weeks. To answer a commonly asked question, Derrick Coleman remains a free agent after he was not tendered an offer by the Seahawks as a restricted free agent, and yet to sign with any team. The Seahawks are holding their local pro day on Wednesday. Local pro days are when teams can invite players who played at local colleges and high schools to their facilities for a workout. The local pro days do not count against the 30 official visits teams can have from draft prospects outside the area. Teams do not have to disclose who attends local pro days, but in the case of the Seahawks, it is generally heavy on players from the University of Washington, though typically moreso those who may not necessarily be sure of being drafted and instead may have to go the undrafted free agent route. Players who attended high school in the area but went to college elsewhere also can attend. The plan is to soon update our lists of official visits, which continues to increase as the NFL draft nears. But a report Tuesday — that the Seahawks have gotten a visit from Mississippi State defensive tackle Chris Jones — stands out. Jones is regarded as a possible first-rounder and an almost definite to go by the third round, and a player who has been connected to the Seahawks on more than a few mock drafts. I'm told 6-foot-6, 310 pound #HailState DL Chris Jones recently visited the #Jaguars, #Bengals, #Ravens and #Seahawks.